Play along with the rhyme Hey Diddle Diddle with these sweet little felt pieces! 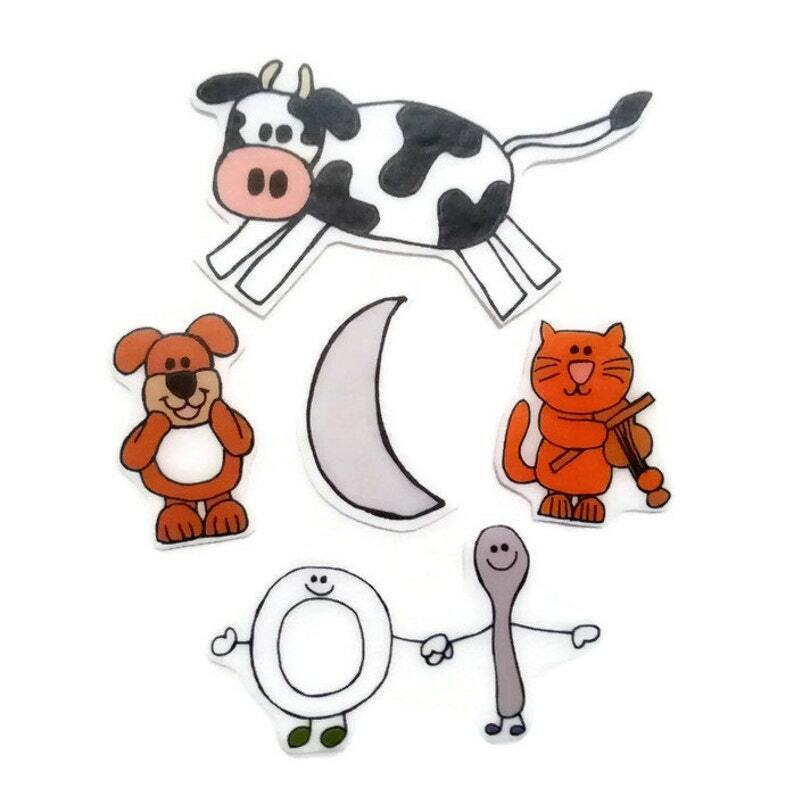 They are great for independent, quiet play or group activities. These pieces are made of felt and will stick to felt or flannel. This set comes with 7 pieces.